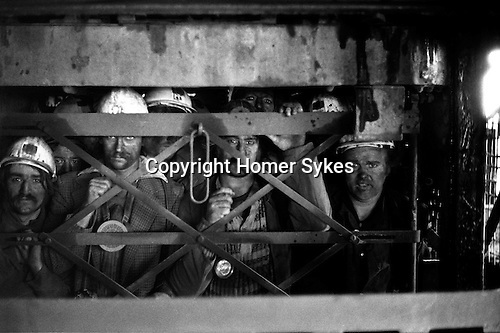 At the end of a seven hour fifteen minute shift, plus forty five minute Riding Time, South Kirkby Colliery miners return to the surface in The Cage. Miners as a rule were paid more the closer they worked to the coalface. An experienced miner who was an electrician working at the coalface could receive 84 old shilling a shift. Equivalent to approximately £250-00 per week in 2018.